Dan Johnson Photography = Fun! At the end of 2007, we had the privilege to shoot a promotional video for Dan Johnson Photography in Grand Rapids. I have to say after seeing the passion behind Dan Johnson Photography, I'm sold. 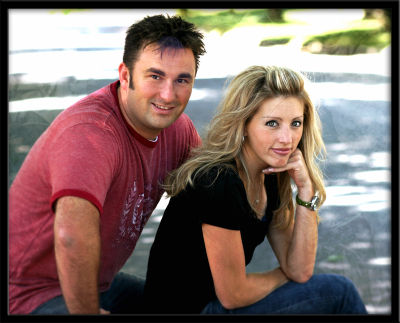 If you are getting married, your wedding day will be in good hands with Dan, Jodi, Kyle, & Katie. Dan wanted to portray the fun that they have on their shoots as well as the passion and energy that goes into every shoot. Be looking for this video on their site. Enjoy this high energy promotional video and contact Dan and his team for more information, or visit their website at http://www.djcustomphoto.com.